Typically when you think of the combination of avocados and tomatoes you go–guacamole! Or, at least, that is the first thing that pops into my mind. Turns out, there is this amazing east african soup that combines the two for a completely different set of flavors. When I first came across this soup, I wasn’t sure how I’d feel about the combination of tamarind, avocados, and tomatoes. But I’ve been on an avocado kick lately, and so I was more than willing to try a new way to eat them. Lucky I did, and it turns out that any uncertainties I had about the recipe were silly and unfounded. The soup was amazing. Reminiscent of gazpacho but with a sweet tang from the tamarind and red onion and the creaminess from the avocado, this dish will make a girl go wild. Wild for all things east african anyway. The recipe is super easy to make, delicious, and perfect for a hot summer day. Feel free to make a day in advance! The extra time will help the flavors meld for an even more delicious treat. 1. Heat the oil in a medium skillet, and saute the onion until soft, about 5 minutes. Add the garlic, and saute an additional 3 minutes. 2. In a large mixing bowl, mash the avocados with the lemon juice until smooth. 3. Add the sauteed onion and garlic, crushed tomatoes, vegetable broth and tamarind chutney. Season with salt and pepper. 4. Take half the soup and blend until smooth. Add the blended soup back, stir in the quarter cup of chopped parsley. 5. Chill until time to serve. This entry was posted in soup and tagged african, avocado, food, recipe, tomato, vegan. Bookmark the permalink. I’ve been mashing up avocado into salsa, which tastes great but doesn’t look appealing. This soup is a welcome spin on these ingredients! Where do I buy tamarind chutney? I’m guessing I could substitute another sweet/sour flavor. Maybe Worcestershire sauce? you should be able to buy tamarind chutney at any store that has a decent international (read: indian/middle eastern) section. I happened to have bought my tamarind chutney in the indian neighborhood, but I know I’ve seen it at whole foods. Sometimes it is sold as tamarind-date chutney which is fine, it is just a sweeter flavor. You can also purchase it as a concentrated paste, but if you do, then make sure you cut back on the amount you use (and maybe mix with water first and then add). Substituting with worcestershire sauce would be a good substitute, as it has tamarind as one of it’s ingredients. But vegans and vegetarians beware: when buying worcestershire sauce, watch out for anchovies! Another decent substitute for tamarind chutney is a generous pinch of sugar, a sprinkle of ginger powder, and lemon juice to taste. I’ve used that substitute more than once. 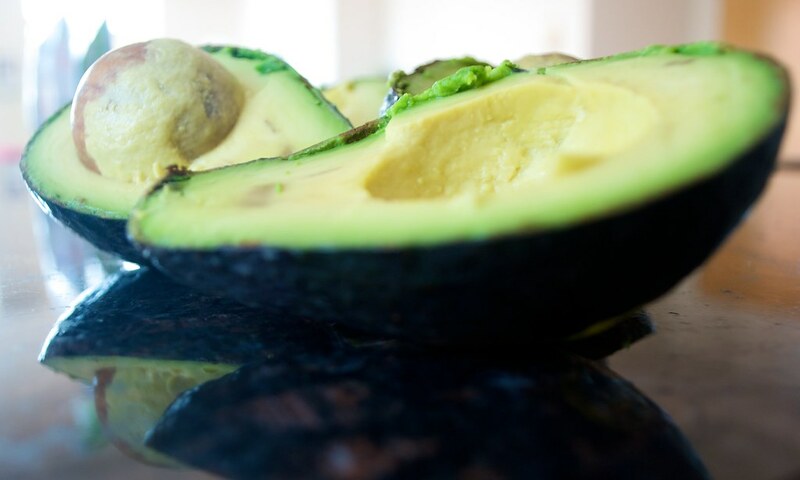 I seriously think that avocados are the most disgusting thing ever–the texture, the look, yuck! 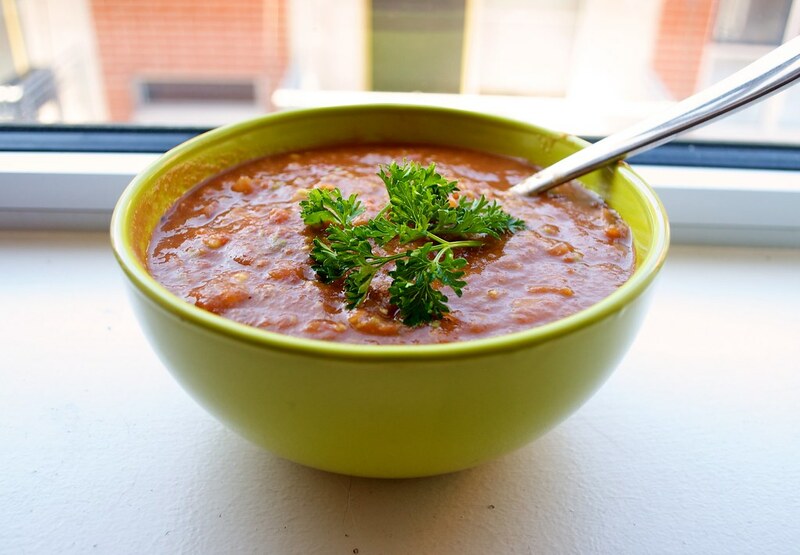 BUT, I love soup, so I gave this recipe a whirl and it was amazing! haha yay! I’m glad you liked it. I served it to some friends for dinner and they all helped themselves to seconds or thirds (always a good sign)! Just thought i’d point out you’ve forgotten to include when you add the onions/garlic to the rest of the soup mix! Oh thanks! Nice catch. You add the onions when you add the tomatoes and the rest of the ingredients. I put it in above. Avocados really are delicious! I hope you enjoy the soup 🙂 If you make it raw let me know how it turns out!